The Academy will be an innovative, inclusive, purposeful learning environment committed to serving our community by providing education of the highest quality within the context of Christian Beliefs and practice. Our aim is to provide a safe environment, in which a child is valued as an individual, can find security, acceptance and reassurance and an opportunity to develop to their full potential. We aim to create a happy community in which Christian values are upheld. All pupils will be valued regardless of their differing needs, ability and backgrounds and prepared for the next stage of their education in the RSA Family of Academies. Our vision for the future sees pupils acquiring the skills and competences for learning, for becoming responsible young people enjoying their achievements, and being prepared for future life challenges. 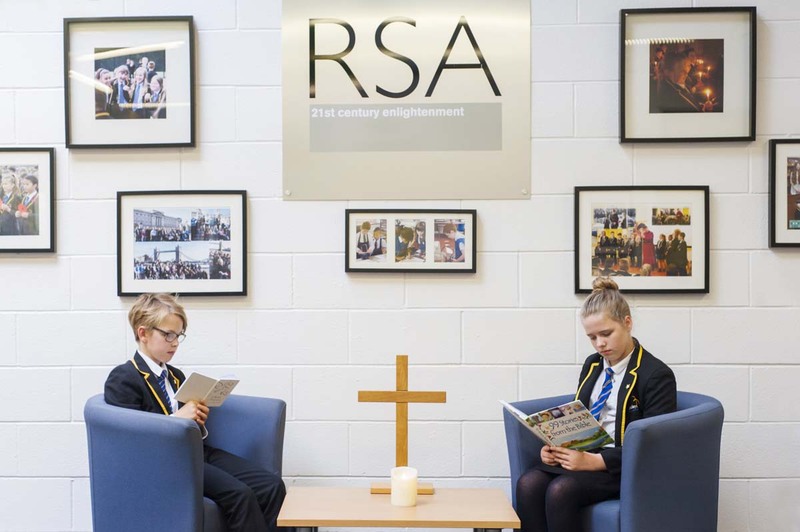 Our C of E status and Christian ethos will be preserved as an RSA Academy and will support this personalised learning journey through a curriculum that seeks to engage, enthuse and develop confident, resilient young people who are successful from age 9 – 13 years and beyond through the Redditch Multi-academy Trust. active support for growth in academic excellence through working within the Redditch Pyramid and the family of RSA schools in the truespirit of collegiality. working in partnership with other agencies and providers to enrich life experiences and opportunities for all. sustaining spiritual links throughout the parish of Ipsley. embracing the opportunities offered to the community through the sponsors. ensuring that our community recognises and respects other cultures, religions, languages and backgrounds.